Be the first to hear about their new releases and deals. 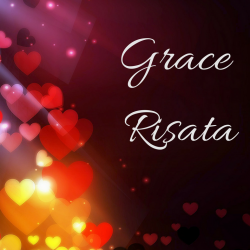 Download the Booksprout app and search for Grace Risata today! I would first and foremost like to thank everyone for taking the time to give my stories a chance. My goal is to take you out of your world, and all the stresses that go along with everyday life, and bring you into my world of romance and fantasy. I have a special weakness for hot alpha males and the feisty heroines who love them. Above all else, I hope you got a laugh out of my book. I aim to incorporate as much comedy into my romance as is humanly possible.